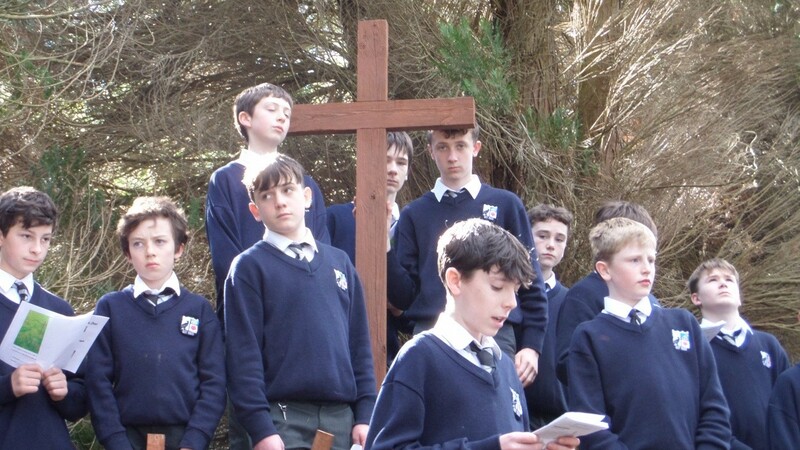 On Friday March29th the First Year students completed the stations of the cross today on the grounds of the Monastery. 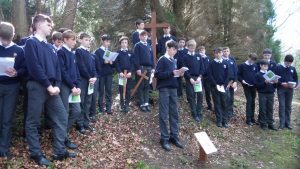 It was the first time that a cross campus ceremony like this took place, it was a great event with students, parents, college staff, the Cistercian Community and sisters from Mount Carmel community all participating in the event. The students performed all stations brilliantly and ended the stations with the hymn to Jesus; ‘Were you there when they crucified my Lord‘. 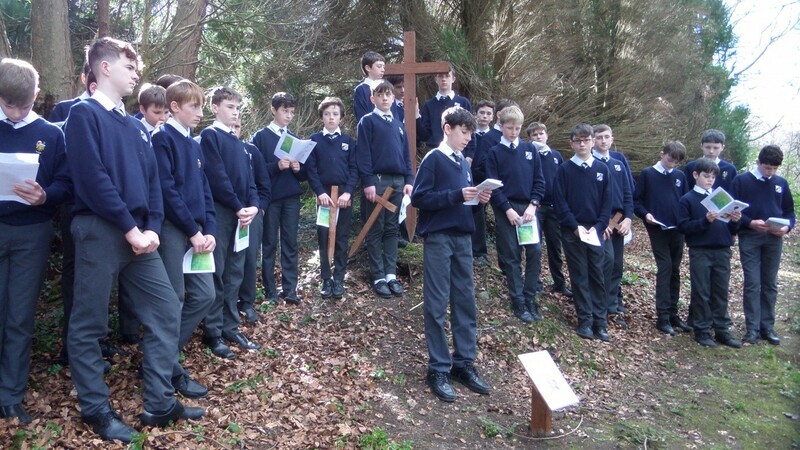 Well done to all the students involved, but also to the Cistercian community, Fr. Aodhán, Br. Rafael, Dom Malachy and Ms Yvonne O’Rourke and Mr Smyth who designed each station with the help of the students.